Lifescale is a journey of self-discovery and growth. It's about getting back into balance and remastering our destinies. 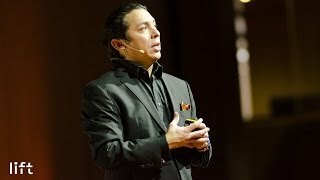 Author Brian Solis knows first-hand. He struggled with distraction and all of its ill-effects. To get his life back, he developed a set of techniques, exercises, and thought experiments designed to tame the chaos, and positively and productively navigate our day-to-day lives. Instead of falling victim to the never-ending cycle of newsfeeds, Likes, addictive apps, and boredom scrolling (aka the endless scroll), we can learn to manage our time and inspire our own lives in a way that will bring meaning back—without sacrificing the benefits that our devices bring us. In Lifescale, Brian has done the legwork to pull together scientific findings and practical tools into one book. Readers—especially those who are distracted—will connect with the humor, pathos, and inspiration inside. What's the Future of Business explores in a fun, visual and insight way how connected consumerism breaks down into Four Moments of Truth, the role of technology in decision-making, and how businesses need to create experiences that mean something in each stage and also spark engagement between consumers based on those experience. What's the Future of Business also takes readers on an uplifting "hero's journey" to help them bring about change from the inside out. The end result demonstrates how experience design amplifies customer relationships, drives word of mouth, and fosters organic advocacy. The point is that experiences can often trump your product or service. 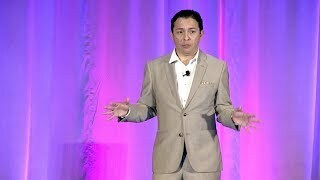 A digital analyst, anthropologist, and futurist, Solis has studied and influenced the effects of emerging technology on business and society. His research and books help executives, and also everyday people, better understand the relationship between the evolution of technology and its impact on people and also the role we each play in evolution. 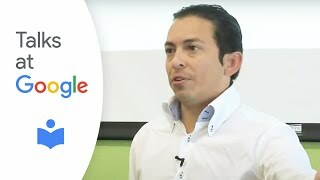 As a result of his work, Solis also helps leading brands, celebrities, and startups develop new digital transformation, culture 2.0, and innovation strategies that enable businesses to adapt to new connected markets from the inside out. His previous books include, What's the Future of Business (WTF) , which explores the landscape of connected consumerism and how business and customer relationships unfold and flourish in four distinct moments of truth. Prior to WTF, he published The End of Business as Usual, which was named as a Top 10 Business Book by Publisher's Weekly. EOB examines the emergence of Generation-C, a new generation of customers and employees and how businesses must adapt to reach them. Prior to End of Business, Solis released Engage, which is regarded as the industry reference guide for businesses to market, sell and service in the social web. 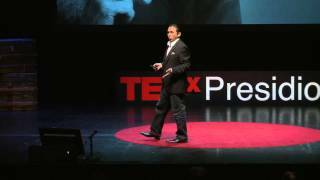 He is a regular contributor to leading business and industry publications including Adage, Forbes, Wired, and VentureBeat, among others. Brian is also an official LinkedIn Influencer with over 500,000 people on Linkedin, Twitter and Facebook. • How to design customer experiences that matter in a time of what Brian calls, "accidental narcissism"
Business and Customer/Employee Experience - Brian ties together the latest trends and developments in Brand/Digital/Omni/Mobile and Social. Design marketing strategies and campaigns that matter in a real-time, ‘always-on' world. Tech, Innovation and Silicon Valley - What is it about Silicon Valley that drives innovation and disruption, what's the hot new tech and what's the next big thing?! Finance Services and Insurance - The future of banking, finance and insurance is so important. Learn from Brian's in-depth studies centred deeply on UX (user experience).